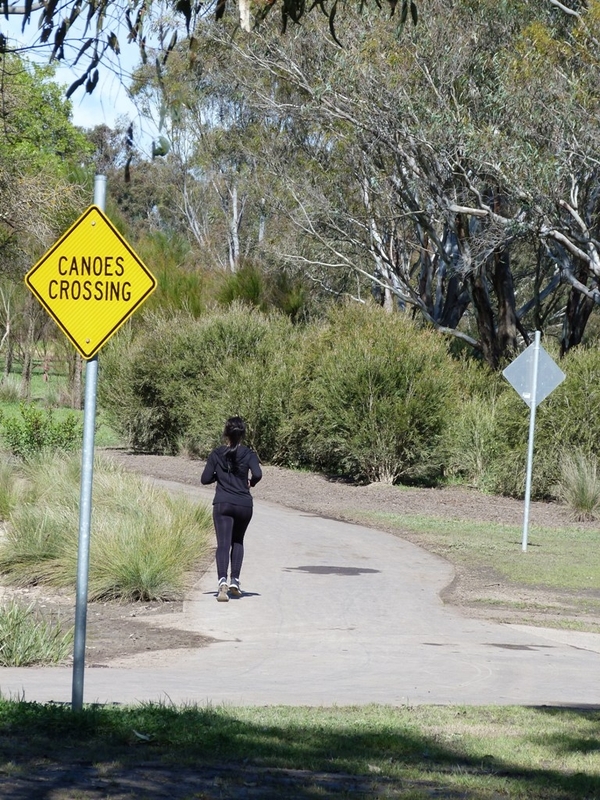 This circuit walk gently winds along the Barwon river in Geelong, allowing you time to soak up the abundant riverside vegetation, birdlife and wetlands. 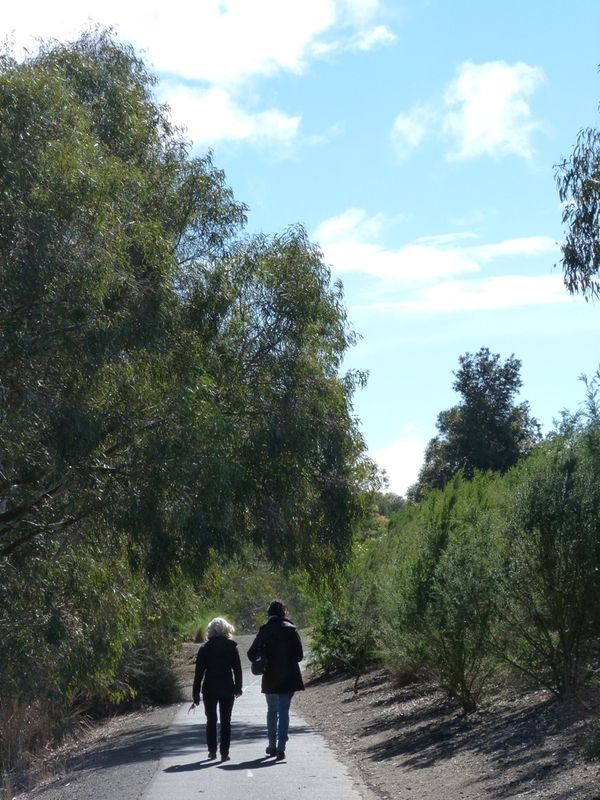 This walk starts and ends at the Balyang Sanctuary. However, as it is a circuit walk it is possible to start the walk at several other locations along the river. 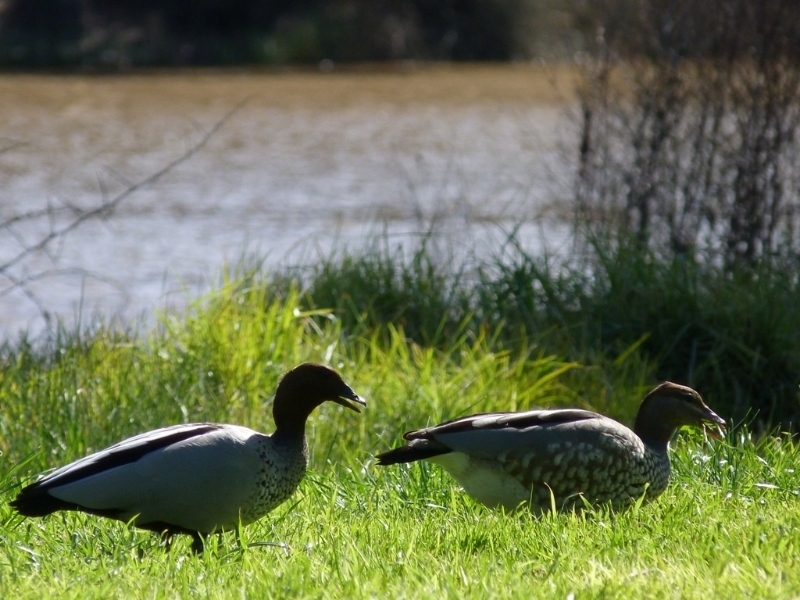 Balyang Sanctuary is a flora and fauna reserve with wetland lakes and plenty of swans, ducks and pelicans. Walk along the east side of the river under Princess Bridge. 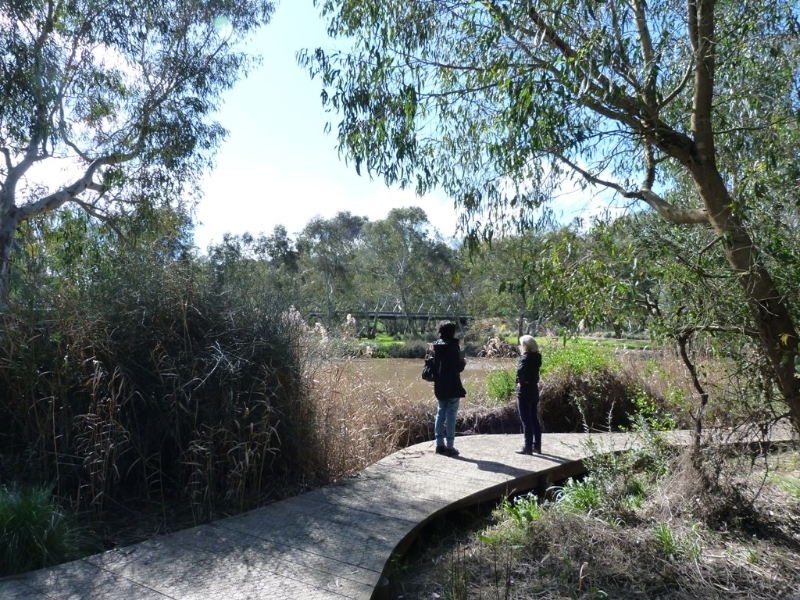 Turn left onto a boardwalk which explores the beautiful Yollinko Wetlands which features a diverse ecosystem and bird hides. 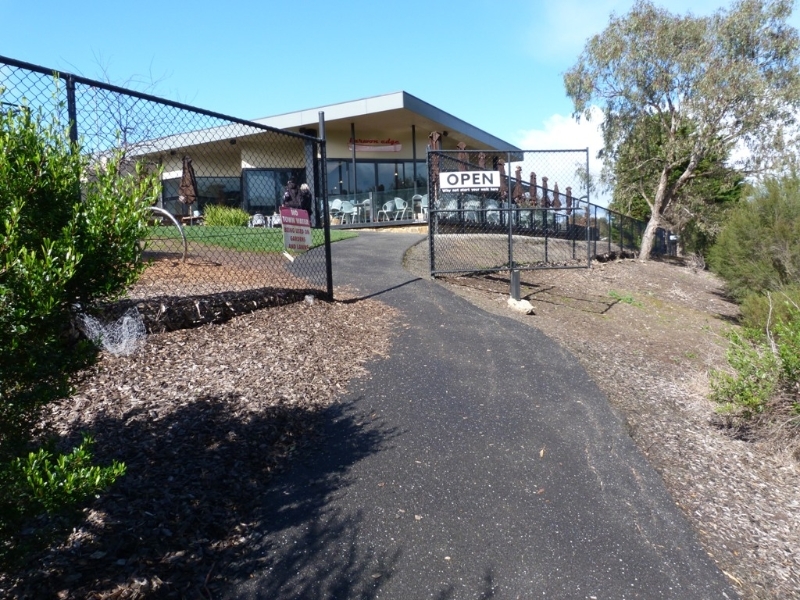 Continue to follow the path along the river passing the King Lloyd Reserve and, a little further on, the Edge Café. The café has a large car park and is an alternative start/end point for the walk. There is an abundance of flora along the route. 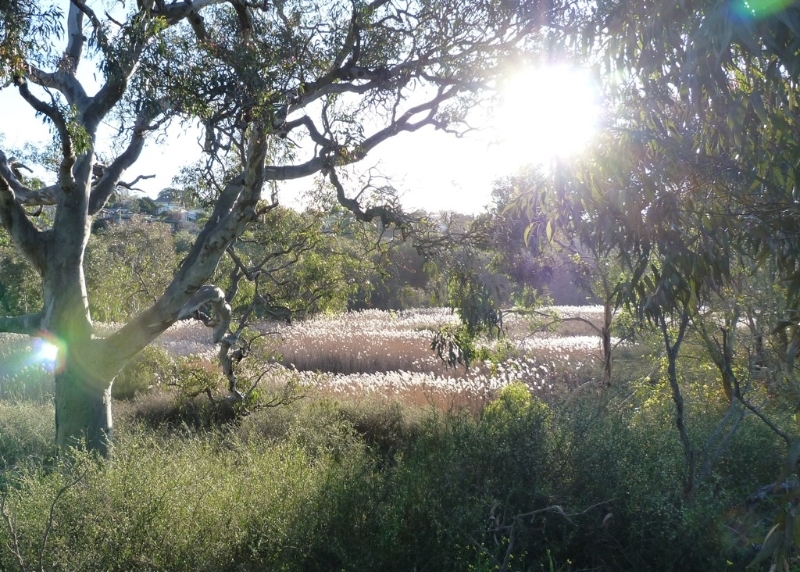 The riverside vegetation is characterised by River Red Gum, Blackwood, Silver Wattle and Woolly Tea Tree, while the drier slopes are home to Drooping Sheoke Golden Wattle and the indigenous Kangaroo, Wallaby and Tussock grasses. 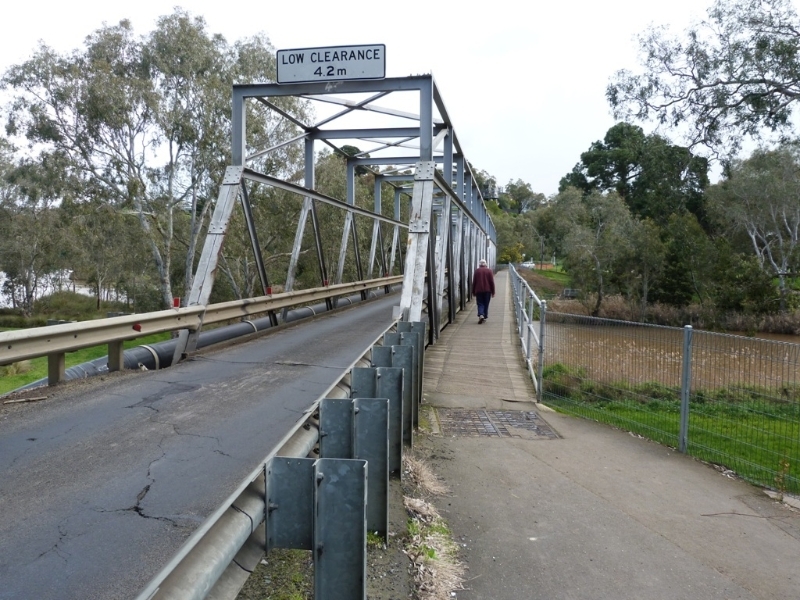 About 2.5 km from the start of the walk you reach Queens Bridge. 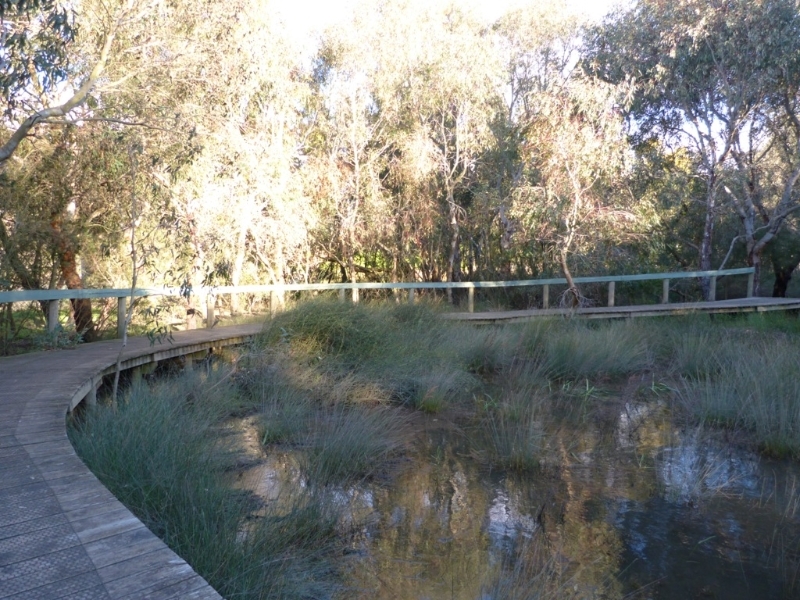 Just before Queens Bridge is another wonderful boardwalk which brings you closer to the flora and provides a good spot for bird watching. There is also an excellent view of Queens Bridge. 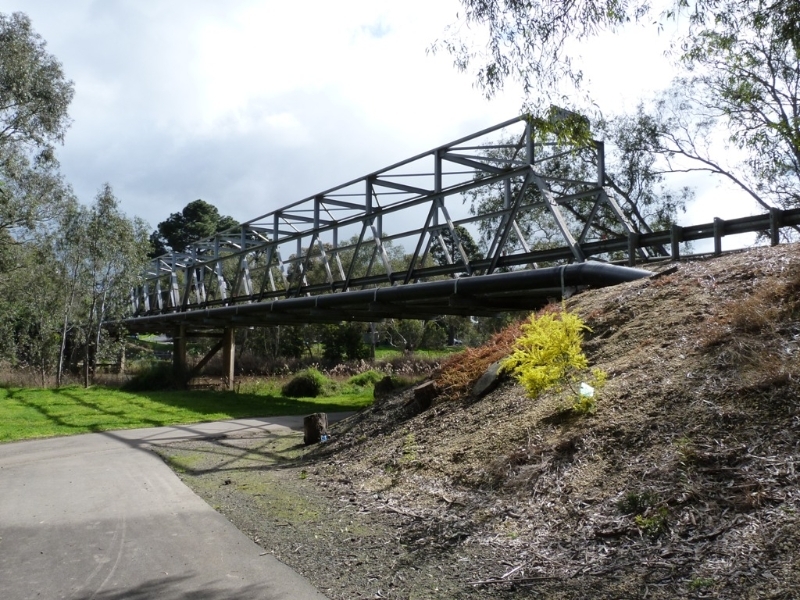 Access: There is a car park at Balyang Sanctuary. There is also car parking available at the nearby King Lloyd Sanctuary. Geelong Train Station is 4km away and connects with local bus services. The nearest bus stop to the route is at the corner of Gairloch Grove and West Fyans Street (Route 36). For details visit http://ptv.vic.gov.au/ or call 1800 800 007. Bike lanes run along Swanston Street from McKillop St to John Landy Field. From here you can cycle along the river to the start of the walk. The route is fully paved and mostly flat (except for the small inclines to cross the two bridges). Facilities: Public toilets are available at the Balyang Sanctuary. 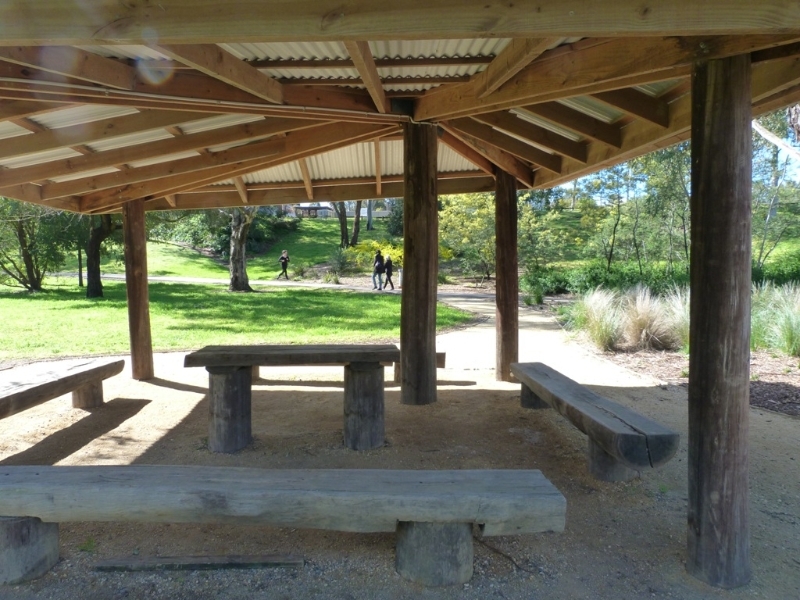 There are a number of tables along the way for picnics and one has a BBQ. 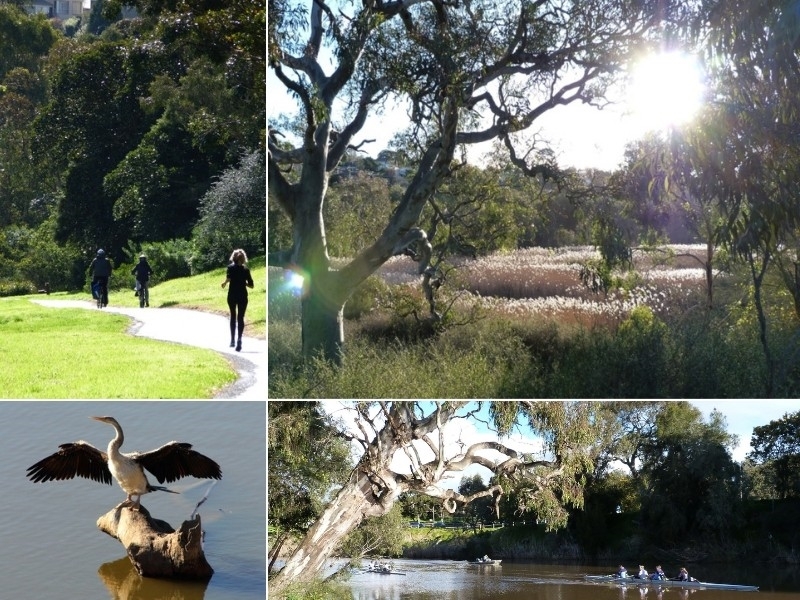 Geelong's Barwon River offers much for the keen walker: including some beautiful riverside vegetation, birdlife and wetlands. The Boardwalk meanders through some wonderful wetlands. Along the way you will be seneraded by the frogs in chorus. The wetlands in the evening sunlight. Magical. The river has a long history with rowing from the late 1800s to the present day. 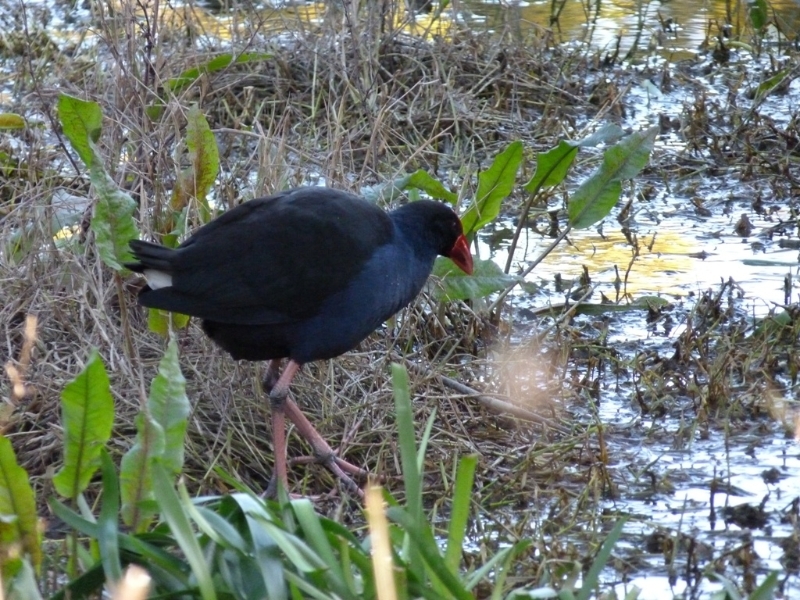 Keep an eye out for Purple Swamphens. They are primarily waders and feed mostly on young shoots of reeds and other aquatic plants. Entrance to the Edge Cafe. A good spot to have some lunch on route. It can also be used as the start/end point of the walk. 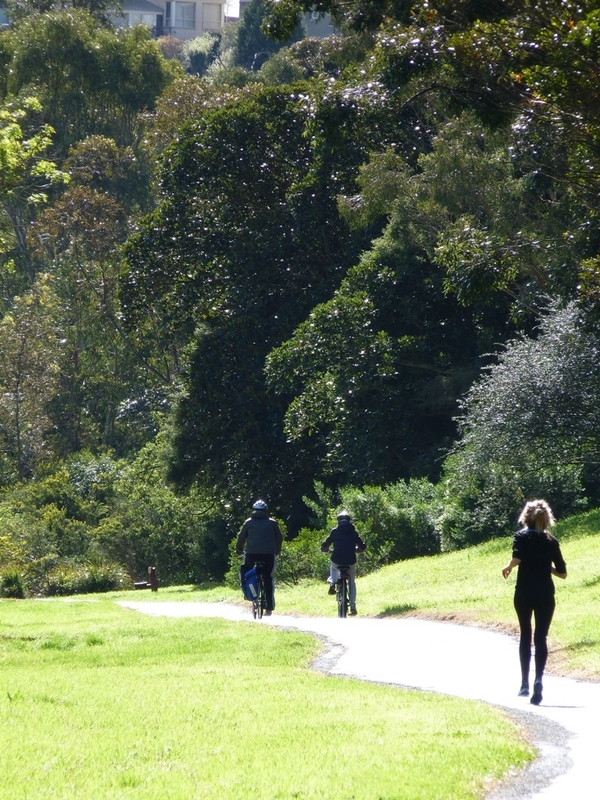 Walkers enjoying a well maintained paved pathway surrounded by flora on both sides of the path. Watch out for the canoes at this junction. But don't worry, they are usually accompanied by their owners. An excellent covered lunch spot by the riverside. 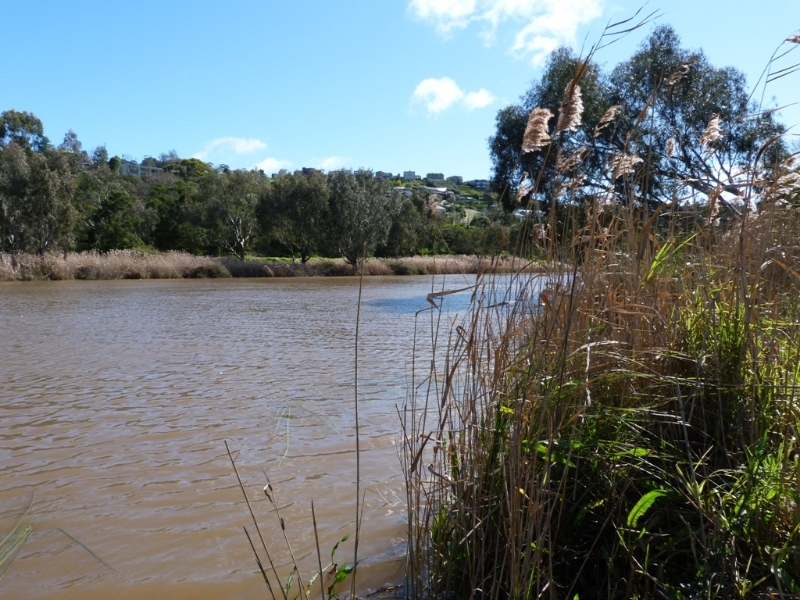 Along this section you might spot Australian Wood Ducks searching for lunch on the banks of the river. It's short bill with serrated cutting edges is great for grazing. The boardwalk near Queens Bridge. Great views of the river, the bridge and the riverside vegetation. The bridge was first the site of a punt, with a wooden cattle crossing not being built until 1861.The bridge collapsed in the 1870 flood, with a new wooden bridge opened in 1872. The path is a shared cycle/pedestrian path. 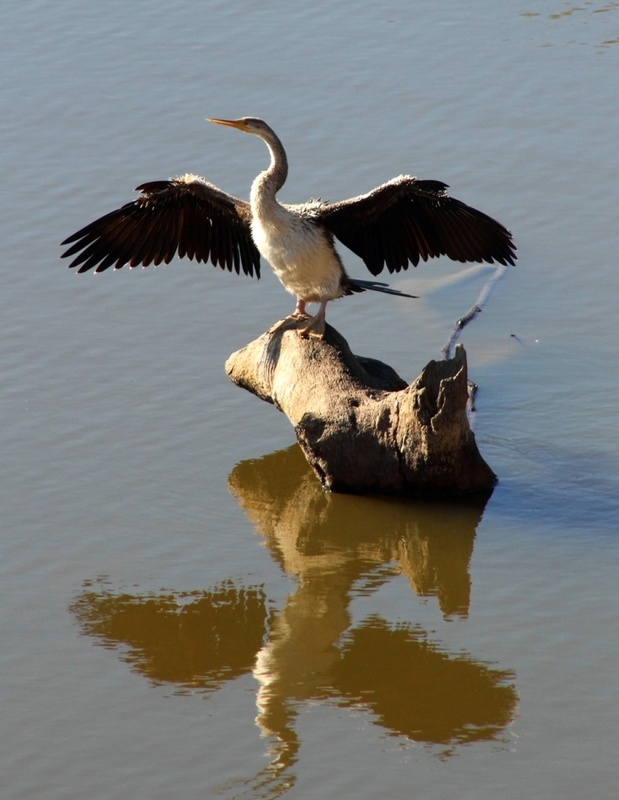 If the sun is out you might spot a Darter bird drying it's wings on the banks of the river.